Utility meters have long been used to measure energy consumption and bill customers based on kilowatt usage. The small electronic devices used by electrical companies called “smart meters” are capable of measuring more than just total consumption including collecting a detailed level of information many consumers may not be aware of. As usage of “smart meters” grows, the sensitive information gathered could be increasingly vulnerable. According to the Department of Energy, detailed information, from a family’s schedule to whether or not an alarm system is being used, can be obtained from the meters. It may also be used to identify the use of appliances and expensive electronic devices. This data is accessible from individual homes, and according to the Electronic Privacy Information Center (EPIC), may be relatively easy to hack. “An attacker with $500 of equipment and materials could take command of a smart meter,” the research center claims. Rogue hackers are not the only threat to consumer information. Utility companies collecting the data may choose to sell it to third parties. For instance, information about the use of medical devices could be made available to health insurance companies. Large data breaches also continue to be a threat to consumers, such as the Equifax breach in 2017 that exposed the information of 14.6 million customers. Despite a growing vulnerability, The Missouri Public Service Commission has yet to put any rules in place regarding customer privacy. Many other states have enacted data protection policies and opt-out options, such as in Arizona, California, Maine, and Texas. Other municipalities have gone as far as to ban the use of smart meters altogether. Meanwhile, in Missouri, some consumer advocates are calling for policies to be set in place to protect consumer data. 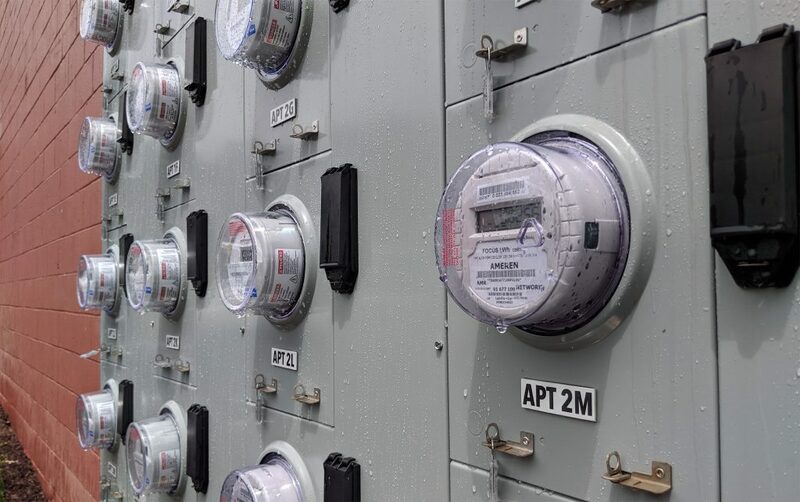 “The deployment of smart meters raises concerns from an increase in disconnections to individual privacy concerns,” says Cara Spencer of the Consumers Council of Missouri. “We encourage the general public to share their concerns with the Public Service Commission as they consider new policies. Most Missourians are served by large monopolies such as Ameren Missouri and have little choice in their energy needs. Advocates are encouraging consumers to reach out to the Public Service Commission with comments as they consider new policies. The PSC is accepting comments on privacy issues until August 10. Comments can be filed electronically at psc.mo.gov by referencing Case No. AW-2018-0393. Aubrey Byron writes for NextSTL and Strong Towns, a nonprofit media organization focusing on public policy and development. She is also an avid cyclist and leads the advocacy efforts of The Monthly Cycle. She resides in Fox Park, St. Louis.